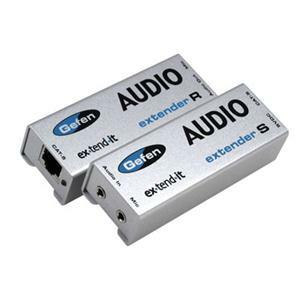 The Audio Extender sender unit sits next to your audio source. Stereo cables supplied with the Audio Extender package connects your audio source to the sender. The receiver unit connects to your speakers or audio output device. One CAT-5 cable connects the sender and the receiver to each other up to 1000 feet away.